MONTREAL, QUEBEC--(Marketwired - May 18, 2016) - Urbanimmersive Inc. ("Urbanimmersive" or the "Company") (TSX VENTURE:UI), the real estate content marketing marketplace, is pleased to announce that it has engaged Contact Financial Corp. ("Contact Financial") to assist the Company with the development and execution of a comprehensive strategic communications program. 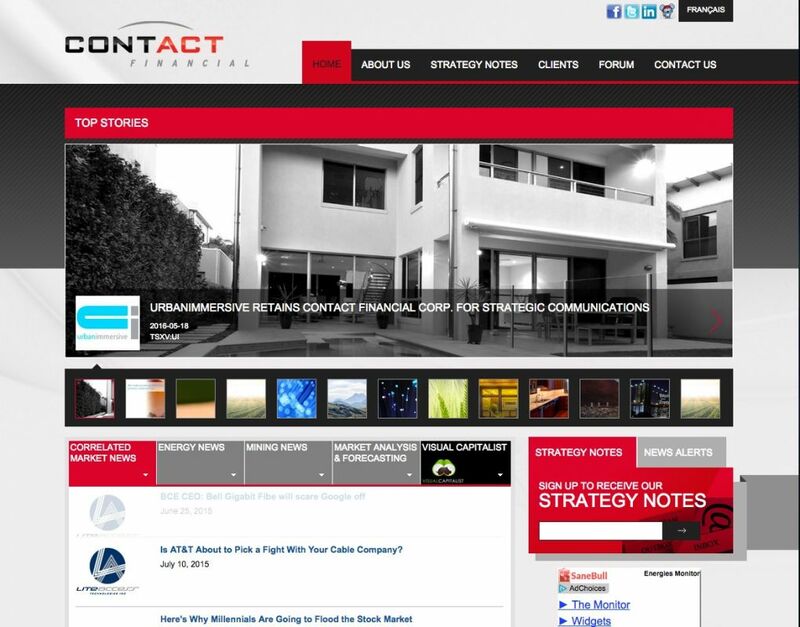 Contact Financial is a Vancouver-based strategic marketing and communications firm specializing in raising awareness for small- to mid-cap companies. Contact Financial, headed by Kirk Gamley, has offices in Vancouver and Montreal, with affiliate offices in Toronto, the United States and Europe. Contact's services will include providing advice to the Company with respect to corporate development, production and distribution of investor-focused communication tools, and increasing awareness of the Company within the financial community. "With recent business achievements, we believe it is time to increase awareness of the Company within the financial community. Contact Financial has demonstrated a great knowledge of our industry and their capacity to reach a broader audience within the financial community" said Ghislain Lemire, CEO of Urbanimmersive. Contact Financial has been retained for an initial term of six (6) months, with service to be renewed on a six-month basis thereafter. Contact Financial will be paid a monthly fee of CDN $5,000.00 (plus GST). Contact Financial nor its principals currently have any interest, directly or indirectly, in the Company or its security, although it may choose to acquire shares in Urbanimmersive in the future.